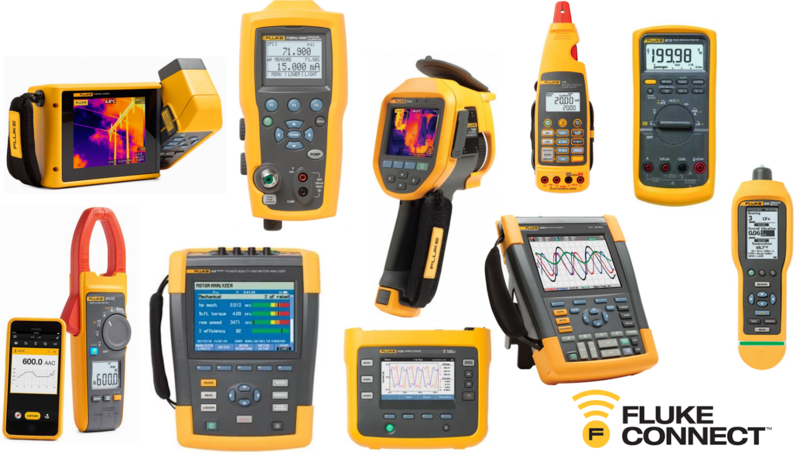 Fluke manufacturers portable test tools for basic electrical measurements, physical measurements, process calibration, thermal imaging, vibration analysis, power quality and many others. Typical customers and users include technicians, engineers, metrologists, medical-device manufacturers, and computer network professionals. The Fluke brand has a reputation for portability, ruggedness, safety, ease of use and rigid standards of quality. RJM Sales has been selling Fluke products for over 12 years as Technical Specialists for thermal imaging, power quality, and vibration analysis and now as a full product line distributor. We have the unique capability to offer on-site product demonstrations and after-sale training for our customers. For more information on Fluke products, visit the Fluke website. To purchase Fluke products, please directly visit our online store or fill out the contact form below.